Time Equities Inc. Art-in-Buildings is pleased to announce the newest exhibition at the West 10th Window: Negar Behbahani, Evanescing Memories. Tehran-born, Brooklyn-based multi-media artist Negar Behbahani makes poetic works that explore the immateriality of memory and loss. Her installation in the West 10th Window, Evanescing Memories, is a physical manifestation of the artist's intellectual struggle to maintain her memories of a childhood in Tehran, a place that is now radically different from her youth. Her memories of place and people fade and change, as all memories do. In this dynamic installation, a doll wears a dress patterned with portraits of people the artist loves, body, hands, and fabric covered with handwritten notes about the memories she strives to retain. Behbahani submerged the doll so that it floats, suspended in time. The water masks and reveals the notes and portraits, emulating fading memories that can only be reinvigorated by an unexpected stimulus, such as a smell or sound. The doll's rotation references the inexorable passage of time, age, and the accompanying fading of cherished memories. 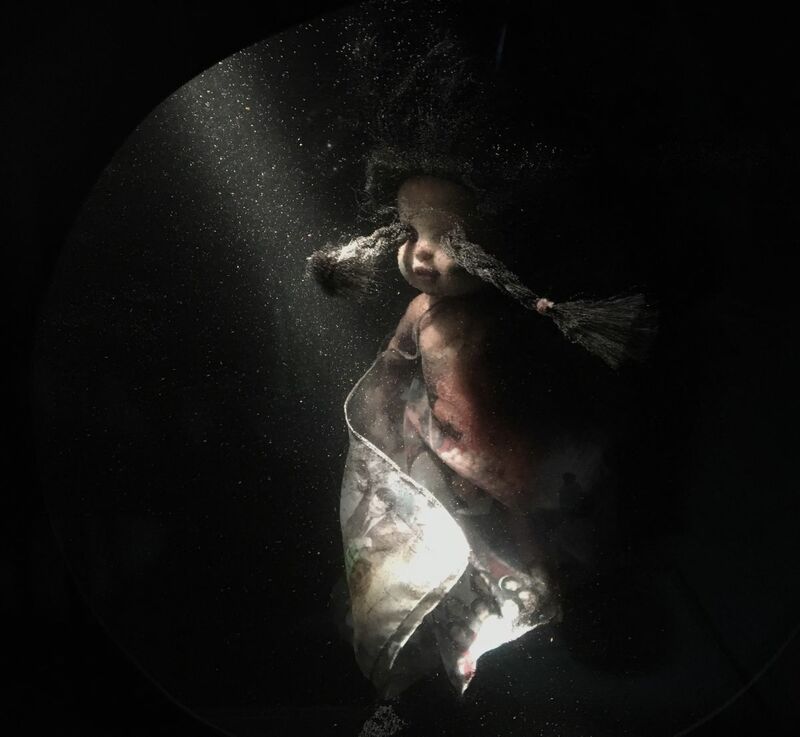 The adjacent window of the installation is almost entirely blacked out, except for a long grey braid of hair, which reappears in a smaller form bursting through the doll's eyes – an intrusive symbol of the inevitably of time and aging, no matter how much one resists. However, the work is more about coming to terms with the passage of time and the dimming of memories than about mourning their loss. Behbahani encourages an appreciation of experience and the marks it leaves on life. Born in 1983 in Tehran, Iran, multidisciplinary artist, Negar Behbahani lives in Brooklyn, New York. She received her B.A. in Music in Tehran and MPS from New York University, Tisch School of Arts. Behbahani has exhibited videos and installations in locations including #6 Berlinale Talent Campus, Berlin, Germany; Women's Film and Media Arts Festival, the National Museum of Women in the Arts, Washington D.C.; Women's Voices from the Muslim World, Los Angeles; DUMBO Arts Festival, New York; Here Arts Center, New York. Featured in Art in America, The Huffington Post, Jadaliyya, and Theater of One World. Behbahani also was part of the Global Groove, highlighting artists from the Far East, Middle East, Africa, and Europe at The Eli and Edythe Broad Art Museum. Next up at the West 10th Window: Mollie Murphy, David Baskin, and Damien Davis.